The Stream's weekly look at the ongoing sacrifices of U.S. troops and military families around the world. 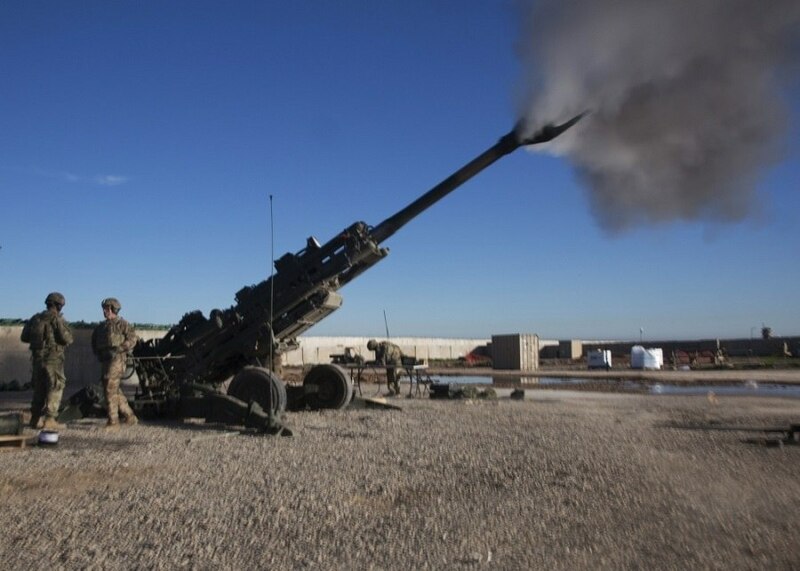 U.S. Army soldiers fire an M777A2 howitzer during a fire mission in Western Iraq on February 6, 2019. No American casualties were reported by the Pentagon this week during the ongoing war efforts in Iraq, Syria, Afghanistan and other battlefields. We are grateful to God for this blessing and humbly ask Him to keep watching over our heroes and their families. 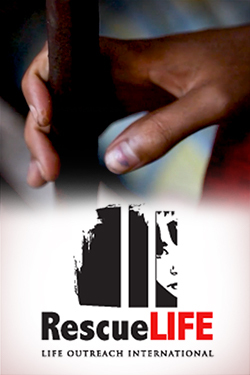 The Stream is committed to keeping you updated on the sacrifices being made by our military community. Here is a look at what’s happening on the ground. The Department of Defense released a new report on recent U.S. and coalition military activities in Iraq and Syria on Wednesday. The overview makes clear that while ISIS has been decimated by constant ground and air assaults, the threat of terrorism is still present in both countries. In Syria alone, there were “186 strikes consisting of 426 engagements” between February 10-23, which averages out to 13 coalition strikes per day targeting ISIS. I don’t recall seeing a single cable news report about one of these many strikes, as pundits are seemingly too busy yelling at each other to spotlight the wars being fought by our military. According to the Pentagon report, our nation’s warriors destroyed 189 ISIS fighting positions in Syria during the aforementioned two-week period. Thank you to these proud American patriots for taking the fight to the enemies of freedom. In Iraq, the Pentagon reported “25 strikes consisting of 25 engagements,” including the destruction of 18 terrorist tunnels and caves. Without the gallant acts of our troops and their families, who also bear the burdens of war, ISIS would still be running wild in the Middle East while plotting terrorist attacks on our homeland. We owe an enormous debt to our country’s selfless military community. As peace talks aimed at ending the almost 18-year war in Afghanistan continue, a University of Toronto student is reminding us about the Taliban’s ongoing atrocities in her native country. Haidari calls the Taliban “monsters,” and she is right. They have murdered, raped and enslaved innocent men, women and children, while also killing American and coalition troops. Regardless of one’s position on the U.S.-led war in Afghanistan, we should never lose sight of the fact that like al Qaeda and ISIS, the Taliban is truly evil. Thank God for the lasting damage our military has done to these barbarians. 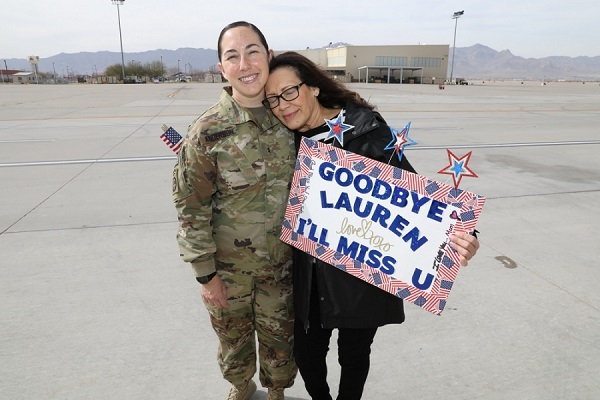 A U.S. Army soldier embraces her mom at Fort Bliss in Texas on February 13, 2019, before departing on a nine-month deployment to Afghanistan. We must also remember that as speculative reports circulate about the conflict’s possible conclusion, brave Americans like the soldier pictured above are still deploying to Afghanistan. No matter what politicians or pundits say in public, America’s longest war will not be over until every single soldier, airman, sailor and Marine is out of harm’s way. For an American service member who’s spent many months away from his or her loved ones, a homecoming ceremony doesn’t get much better than this. The U.S. Army soldier pictured below wasn’t just welcomed home on Sunday; he got to meet his six-month-old son for the first time. 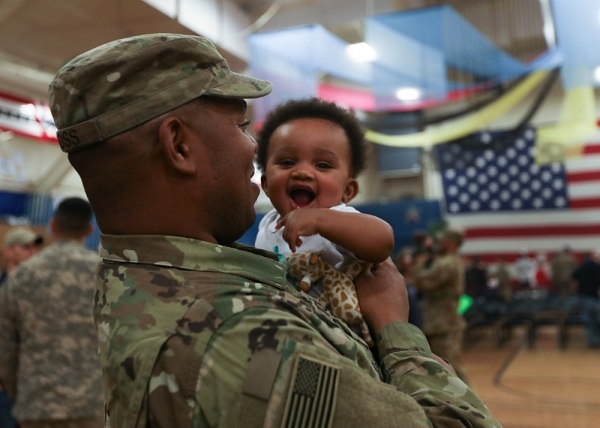 A U.S. Army soldier holds his 6-month-old son for the first time during a homecoming ceremony at the William Reed Special Events Center at Colorado’s Fort Carson on February 24, 2019. Congratulations and welcome home, hero!